Want a good side dish to serve with soup or salad? 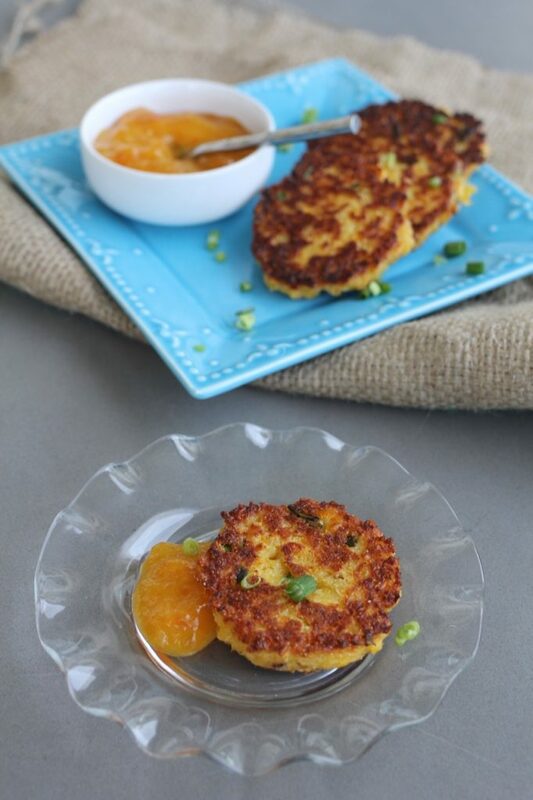 Fresh Corn Cakes with Peach Mustard Sauce are the perfect side dish for any occasion. Made with fresh corn off the cob or frozen corn, this recipe is unique and a delicious way to enjoy corn! 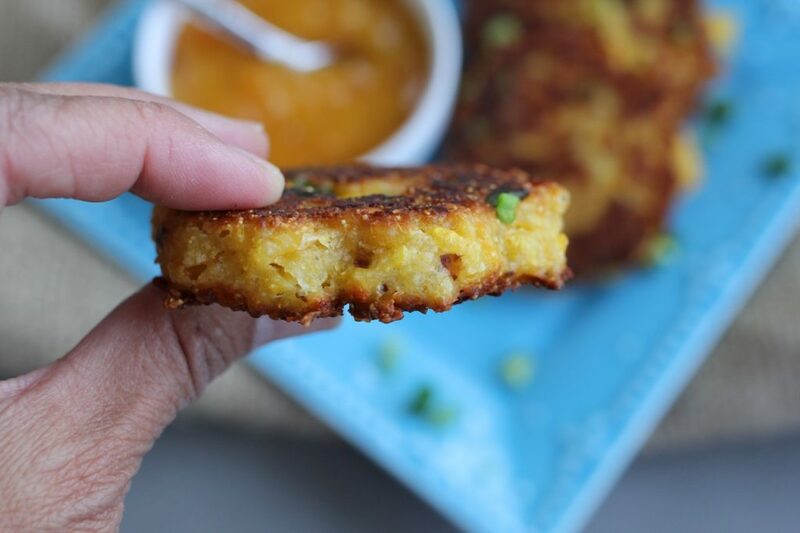 Fresh Corn Cakes with Peach Mustard Sauce makes a great appetizer, made as mini corn cakes with sauce spooned into a custard cup in the middle of a platter of cakes. I first posted this recipe back in 2009 and tried them out on my son Jake. He inhaled them as an after school snack, so the “kid approved” stamp goes on this recipe! 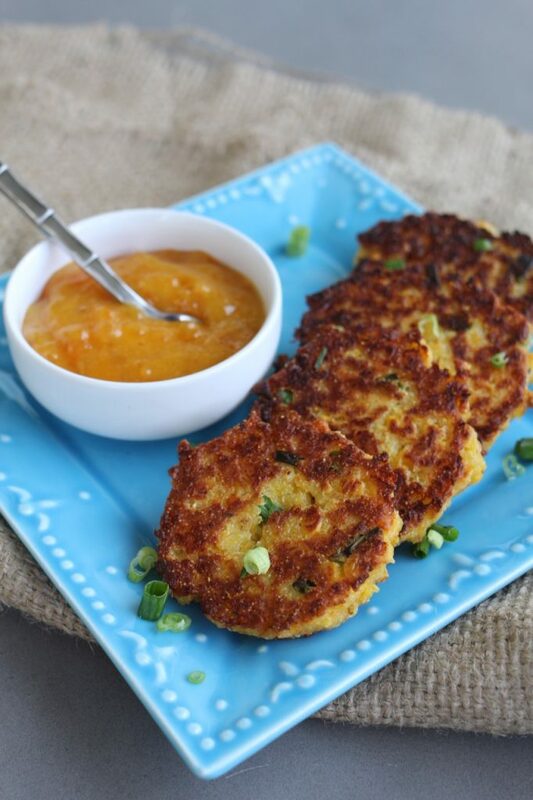 These Fresh Corn Cakes with Peach Mustard Sauce will become a recipe favorite in your house. My family devours them in minutes. They are so yummy on the side of soups, salads, or just on their own for a fun snack and the perfect appetizer to serve at a party. The sauce is made by combining jam and mustard in a bowl and then stirring. The recipe calls for peach jam, but you can use apricot as well. Even orange marmalade would be a fun combination if that’s what you have on hand. Whatever your heart desires. 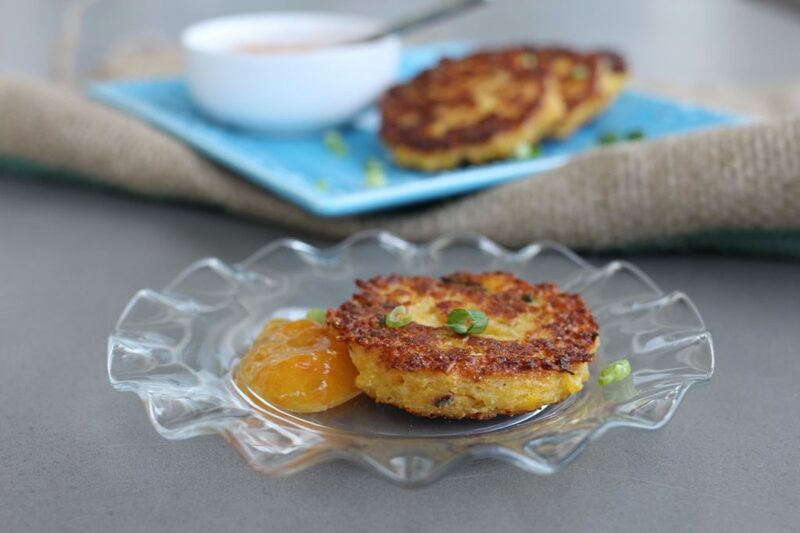 Fresh Corn Cakes with Peach Mustard Sauce are so easy to make. If you know how to flip pancakes then you can definitely make these corn cakes. It only takes about 10 minutes or less to whip these up and then cook on the stove in batches. 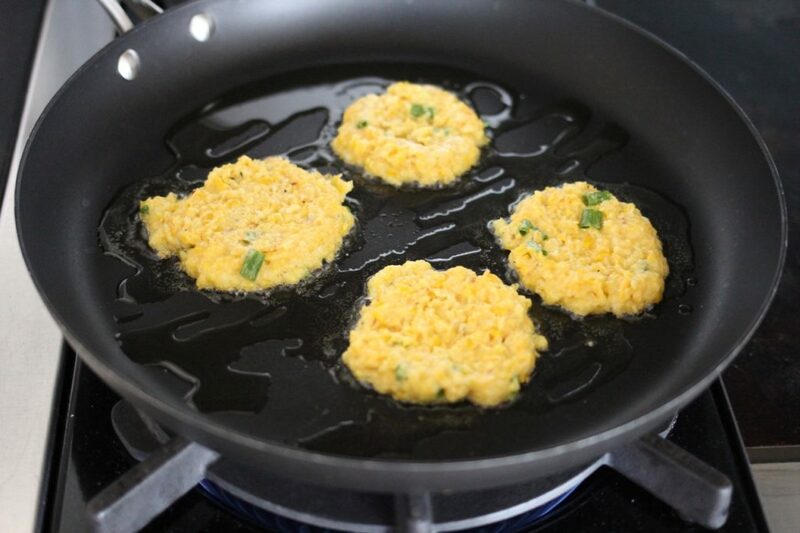 If you have an electric griddle, use it to cook the corn cakes, so you can cook several at one time! I love a good easy and quick recipe. I hope you enjoy these fresh corn cakes as much as I do, and make them before corn is out of season! Pulse first 4 ingredients in food processor just until corn is coarsely chopped. Add flour, cornmeal, baking soda, cheese, green onion, and seasonings. Fold together just until dry ingredients are moistened. Spoon about 1-2 tablespoons batter onto a hot, greased griddle or non stick pan to form 2-3 inch cakes, or use a small scoop and then flatten. Slightly spread batter while spooning onto griddle. Cook cakes about 3 minutes on each side, or until golden and cooked through. Do not flatten cakes once flipped over. Serve with Peach Mustard Sauce. Mix together in small bowl, serve with corn cakes. This recipe is easily halved. 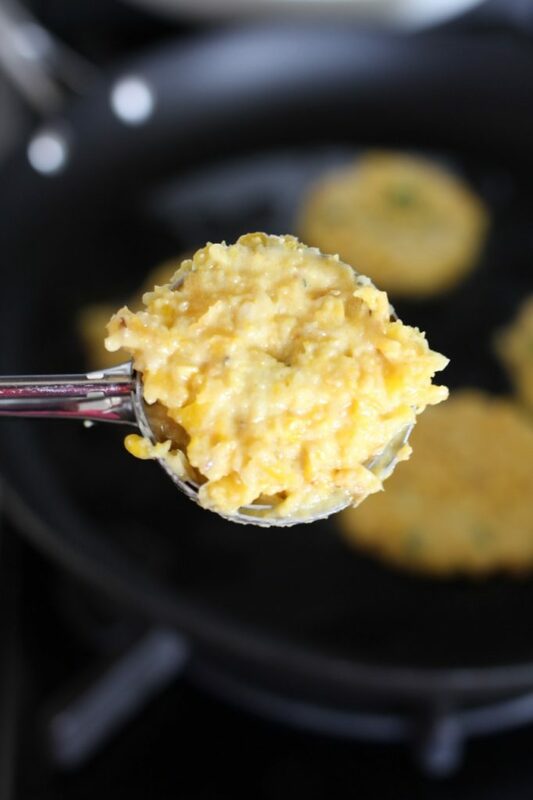 You may use different size scoops to portion out the corn cakes. It's fun to cook the cakes in varying sizes and serve on a platter. Any special instructions for using frozen corn instead of fresh? Thanks! When I use frozen corn sometimes I toss it in a fry pan with a tablespoon of olive oil just until it is warmed and starts to turn a bit golden. I haven’t tried it, but I’ve also heard Trader Joes sells a frozen grilled corn in a bag! I assume the last four ingredients get mixed in along with the other dry ingredients? 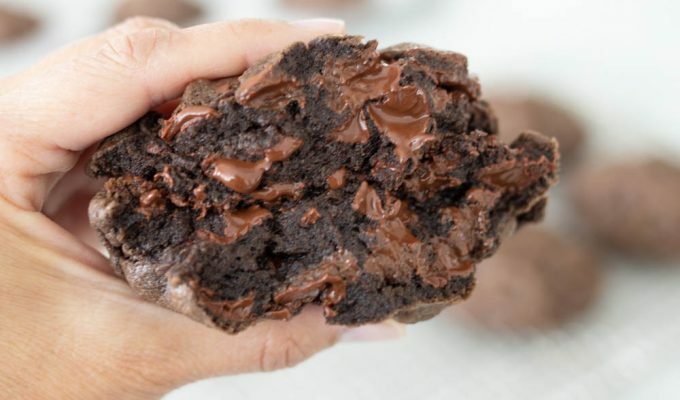 I made these last night, and they are SO GOOD!! Could I bake these in mini muffin tins? I am thinking of topping them with pulled pork for a party appetizer.